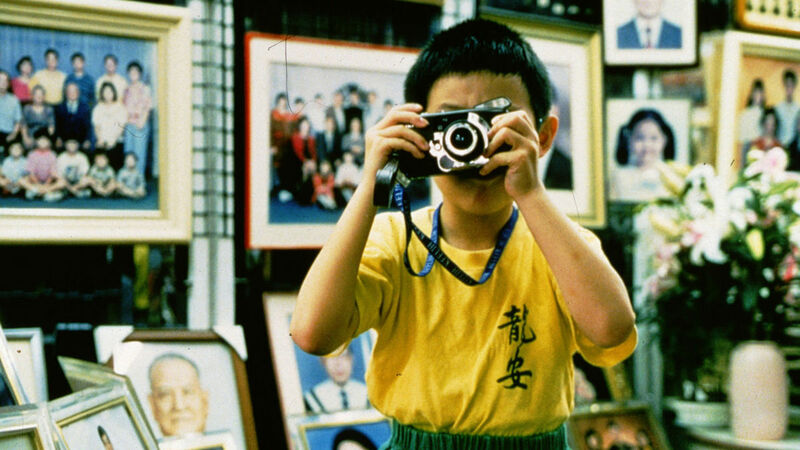 Edward Yang’s Yi Yi (2000) is one of those movies that features high on many film critics’ lists. It ranks 118th place on the 2012 Sight and Sound Poll, and claims nothing less than a staggering third place on the ‘21st Century’s Most Acclaimed Films’ of They Shoot Pictures, Don’t They. An achievement that is all the more extraordinary since most of its western viewers are most likely unfamiliar with the philosophical themes it explores. The movie follows the middle-class Wu family in Taipei. The family consists of disillusioned businessman NJ, his spiritually confused wife Min-Min, a comatose grandmother, romantically conflicted teenage daughter Ting-Ting and oddball eight-year-old son Yang-Yang. We follow these family members as they are struggling with the bigger questions of life involving love, loneliness, and death at a moment full of decisive events. The movie starts with a wedding, and finds its way through a coming-of-age story, mid-life crisis and terminal illness towards a funeral in the very last scene. This all-encompassing scope of the movie never makes it feel too dense, but instead, Yang takes his time to paint an elaborate family picture stuffed with everything that humanity is about. The Wu family is trying very hard to see. NJ has a classic mid-life crisis when he goes to Japan on a business trip. His wife is desperately looking for a Buddhist priest that can provide her with new insights. Ting-Ting struggles with her first love, that inconveniently involves her best friend’s boyfriend. All of the characters are confronted with the meaning of life when the grandmother of the family falls into a coma. They are encouraged by the doctor to keep talking to her to increase her chances of survival, but all of them are so thoroughly confused that they find themselves at a loss for words. All this worrying and over-thinking blinds the characters in Yi Yi to a very simple mistake: as they try to find love and friendship, they only look within themselves. And this is what the title of the film refers to. The movie is called Yi Yi (一一), which is twice the Chinese character for the number one. This easiest character of the Chinese language consists of one horizontal stripe (一). The opening scene of the movie shows the two characters on top of each other, the traditional writing direction of the Chinese language, resembling the character for, you might have guessed it, the number two (二). Almost all of the characters in Yi Yi are looking for a connection, an escape from loneliness, to become ‘a two’, but because they don’t look beyond themselves, they will never be more than two ones. Cinematographically, this idea is supported by the beautiful imagery of urban Taipei. A concrete-and-glass jungle, in which people have to fight against anonymity. Contrasted with the close-knit remnants of traditional Chinese family life inside the buildings. 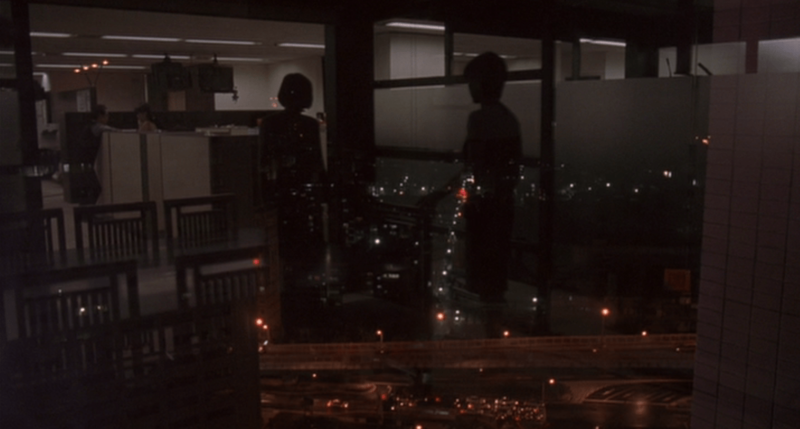 Many scenes are filmed through windows, with reflections and noises of the city creating a distance between the viewer and the characters. It constantly reminds us of the shields that we raise around ourselves for protection. Only one genius masterfully tries to break through these walls of loneliness, ignorance and misunderstandings: little Yang-Yang. He symbolizes the uncarved block, the tabula rasa, the highest ideal in Daoism. Instead of looking for answers, Yang-Yang simply is. We see him following his own life path, unconcerned with what society wants from him. He resembles water, for water never really does anything, yet ultimately it is strong enough to cut through mountains. And it is only he who knows that in order to become two, you need the power of empathy. It is the adventures of Yang-Yang that elevates Yi Yi to greatness. We follow his adventures not in words, for words only cloud the wonders of the world, but through the photographs that he takes. He photographs flies in dimly lit hallways, a level of detail waved away as merely ‘cute’ by the people around him. He notices how people never see the backs of their own heads. By showing them photographs of it, he forces new perspectives on them. This probably is the most iconic scene in the entire movie, but again, his heroic endeavours are only met with incomprehension. When Yang-Yang falls in love with a girl, he is not preoccupied with himself, but instead tries to recreate how she feels. When he sees her swimming in the pool, he eagerly submerges his head as well. The world, however, doesn’t seem ready for all of his wisdom. Yang-Yang is struggling at school, bullied by his classmates, his family hardly seems to notice him, and his romantic efforts have yet to pay off. But the viewer of the movie by now instinctively understands that it is Yang-Yang who holds the highest of truths: He succeeds in life precisely because he fails in school, he truly understands. The last scene of the movie shows the funeral of grandmother, and again the whole family seems to be looking for what to say. Which words possibly could do justice to something as deeply emotional as a funeral? Which words qualify as the final words to say to a human being? Yang-Yang knows what to do. He walks up to the casket and delivers perhaps the most moving speech in film history. He knows that words don’t matter at all, because if it was something important, than his grandmother would surely already know. And it is here that everyone seems to start to grasp a shimmer of the profound wisdom that was right in front of them all along. Do you know what I want to do when I grow up? The philosophy behind Yi Yi is so simple and universal, that you don’t need to understand it to fall in love with the movie. You don’t need to be familiar with Daoist concepts to let it expand your perspective on life. In fact, according to Daoism the best way to enjoy this movie would be to know as little about it as possible, and just let its wonders amaze you. Ironically, with these words, I might have just obscured the water-like pure memories that film lovers across the globe have of this move, and perhaps it shouldn’t have been written at all.